Exchange Your Habit: A Clothing Swap Co-Op, a new membership-only retail store that encourages community, fashion and going green, is held their grand opening on Monday, Oct.1. Store owner Brittani Belmont created her business with the hope of developing a better organized way for local Phoenix residents to come together for a cheap and eco-friendly way of shopping. After attending a Frock Swap with a small group of women packed into a house, Belmont was inspired to develop a swap of her own and “turn it into a business”. With the help of her mother Louise Downing, Belmont was able to turn her inspiration into a reality. Reality began with finding a name for Belmont’s new store. “[What we came up with] is a play on words for the ‘nun’s habit,’the habit being a habit of style and consumerism,” Belmont said. 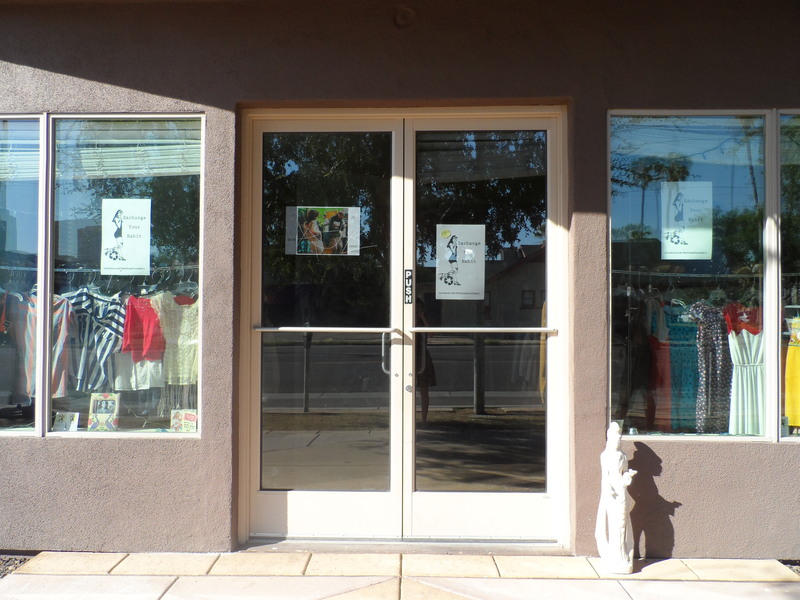 With numerous exchange shops throughout the Phoenix area, such as the well-known Buffalo Exchange, Belmont next looked for ways to make Exchange Your Habit fresh and special. In order to create a closer shopping community, Exchange Your Habit offers a members-only program. The program has three tiers ranging from $30 to $99 without a contract, depending on the member’s shopping preference. Based on which program a member chooses, they can exchange an outfit a week or an outfit a day. Through a Value Point system, members can bring in clothing and accessories of all sorts which will be rated on a scale of A-E and 1-5, A and 5 being the most expensive brand and the highest quality. Despite items in store not having an actual price tag, members will receive full fair trade-in on every piece. “We turn nothing away,” Belmont said. Even items deemed unusable will be taken and contributed to a line where they may be refurbished. This new approach has already brought in excited members who now have the opportunity to obtain numerous items of clothing each month through the exchange.